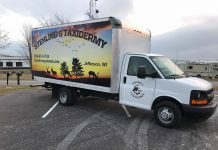 There are many central New York taxidermy shops located in the big apple but the one we will be focusing on is located within the Leatherstocking region. 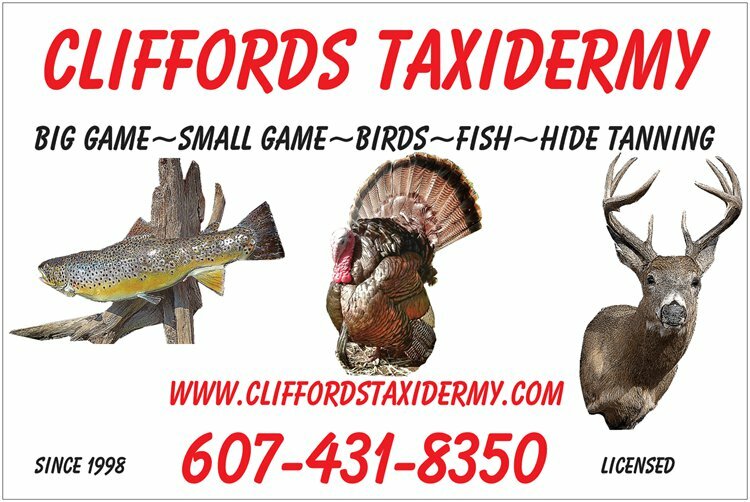 Cliffords Taxidermy has been providing taxidermy services to central New York for over two decades now. 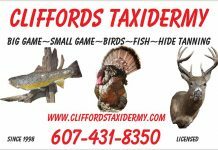 Located near Oneonta and Cooperstown, NY in Otsego County, Cliffords Taxidermy is the place to go to when it comes to central New York taxidermy. 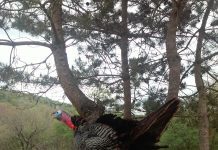 Cliffords Taxidermy services all of Otsego County and provides taxidermy services to those who live and hunt in Chenango, Herkimer, and Delaware counties of New York State. 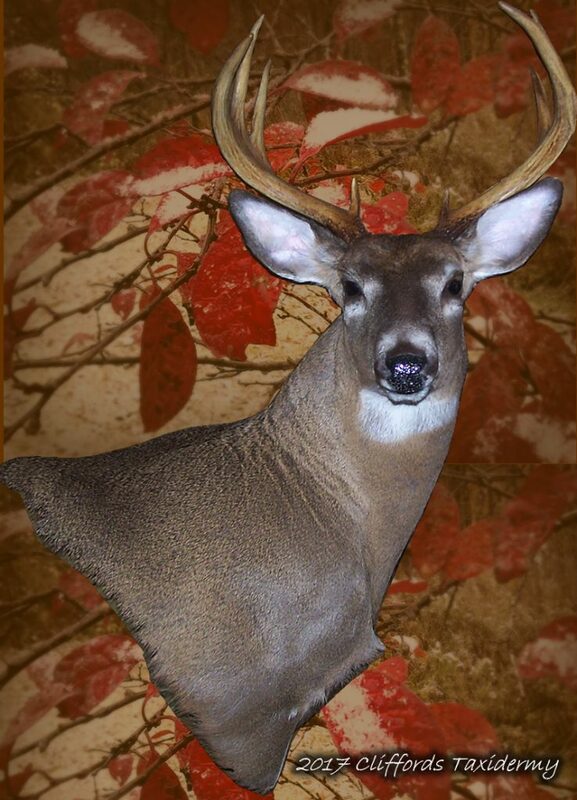 Taxidermy services provided by this central New York taxidermy facility includes, big and small game taxidermy, deer taxidermy, bear taxidermy, fish taxidermy and bird taxidermy. Cliffords Taxidermy also provides animal hide tanning, both hair on and hair off. 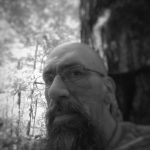 Taxidermy prices are not listed on Cliffords Taxidermy website but the average central New York taxidermy price range on deer heads is in the $600 range. Bear heads are also in the $600 range. European mounts averaged $300. Turkey taxidermy anywhere in New York State is usually within $600 to $800. 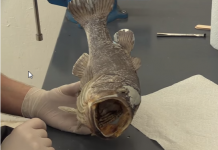 Average fish taxidermy prices in New York are anywhere from $18 to $25 per inch. Average return time on most taxidermy mounts from Cliffords is 12 months. 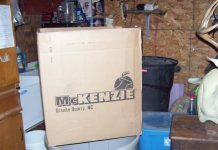 Cliffords Taxidermy uses nothing but the best when it comes to taxidermy supplies and manikins. 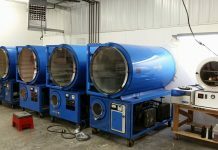 They take no short cuts or cut costs just to get your trophy out the door. So if you’re hunting or fishing in central New York this season and need central some New York taxidermy services why not give Cliffords Taxidermy a call.